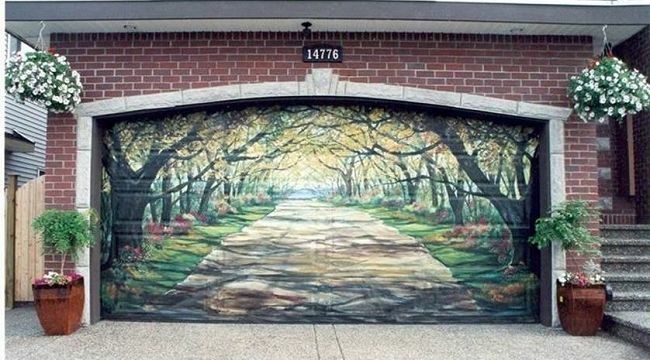 These garage doors are probably photoshopped, but fun to image how they would look in the real world. 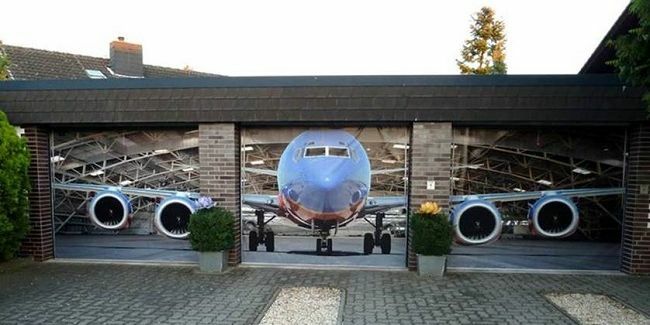 Your car is ready for takeoff. 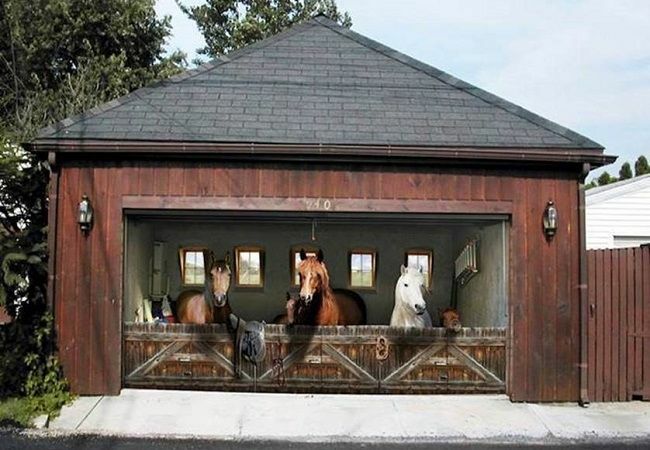 Everybody ready to saddle up? Enjoy a beautiful day in the woods. 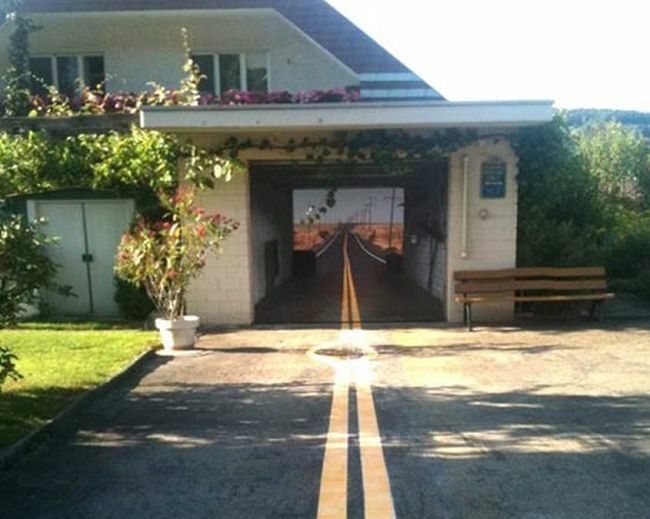 Be careful not to hit the garage door. 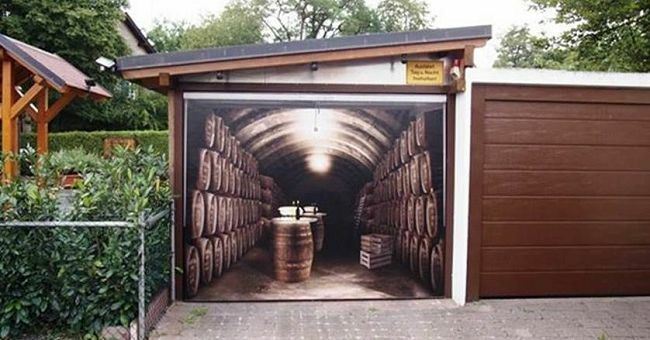 No room for the car in this wine cellar.